Telenor introduces such a reliable facility for all its valued customers of Pakistan. 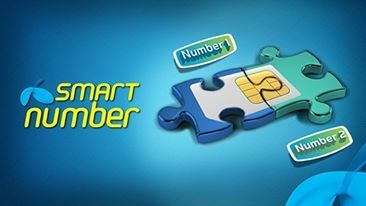 This is an amazing service has generated from this network with the name of Telenor Smart Number. It gives facility for users to use two numbers by owing one SIM. This is possible for all Telenor consumers now you can get two numbers in single SIM connection through this feature. This is one of phenomenal feature has launched from this network side and the largest numbers of cellular operators are appreciating this service. Mobilink is also serving same kind facility with the name of Mobilink Jazz DoubleUP and now Telenor is serving similar type of service of its valued customers of Pakistan. There are many cellular operators are available in Pakistan they don’t want to show his/her personal phone number of some ordinary friends because they don’t want for communicating with them on regular routine so they just need to activate this feature. They can easily make call on recipient phone number and the recipient will not get your phone number through this service. Telenor Smart Number shows different number while you call through this feature. It is such reliable service for women of Pakistan because they always care for not giving phone numbers of strangers and formal friends so they can easily can make call by using this feature and recipients don’t get your phone number while receiving call. The details of subscription are mentioned as below. Customers can activate weekly feature by dialing *345*7700# and then press call button. Subscribers can activate monthly service by dialing *345*158# and then press call button. Users just need to dial 77 before recipient contact number for example (77034557654321) by calling this service. The activation charges of weekly service are RS 8.37 plus tax. The activation charges of monthly service are RS 25.00 plus tax. Users can de-activate weekly service by dialing *345*7701# and then press call button. User can de-activate monthly service by dialing *345*159# and then press call button. There are no charges for un-subscription this feature. Users can only get one smart number on one SIM connection. This network reserves rights for changing charges of this feature at any time without being informed of its users. All taxes will be applied on this service.